Khyanikaa – The Lost Idea has made its mark at 12 prestigious international film festivals across 8 countries. It was the only Odia film at the prestigious Indian Panorama section at 48th International Film Festival of India, Goa last year. The film was highly praised at festivals in Canada, UK, Russia and other countries. The film had also won an award at the 5th Noida International Film Festival earlier this year. Here is what Director Amartya Bhattacharyya had to say about the release : Though it’s a great feeling when our films get recognized internationally, I still possess a lot of desire to see our films get the right kind of reception at home. Being a non-Odia by birth, my primary motive of making Odia films was to contribute to the contemporary art and culture of the state where I have met several great human beings. It can only happen if the passionate film lovers reciprocate to my films. We also have plans to release the film in other theaters across Odisha and in other Indian cities, but that will certainly depend on the kind of response we receive here. 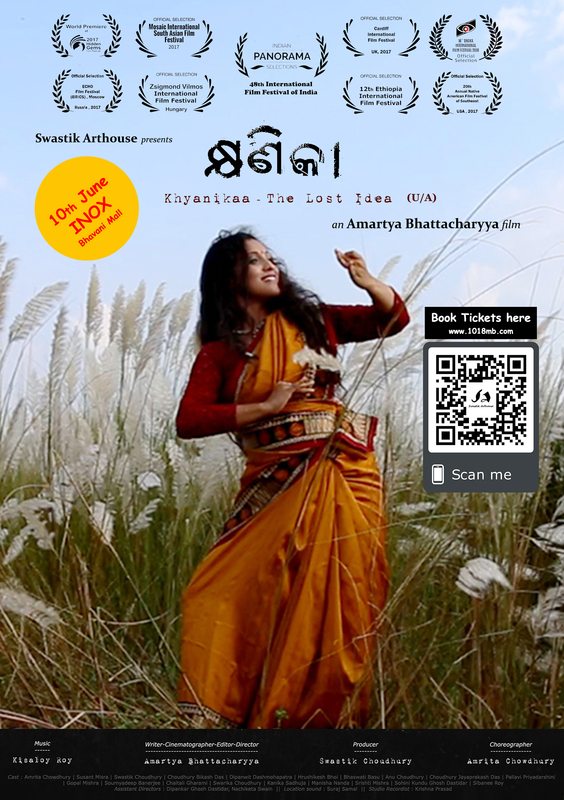 The film lovers of Odisha must make ‘Khyanikaa’ their own. After the film is made, it’s no more my property or my producer’s. The film belongs to Odisha and the people of Odisha. They must own it up. Here is what Producer Swastik Choudhury had to say about the release : It is a great thing that critically acclaimed film “Khyanikaa” is coming to the theaters. So far a large section of people have lamented the lack of good cinema. Though the journey till the theaters have not been easy, now that the film is there, its an opportunity for all these cinema lovers to send out a strong message to distributors and exhibitors that takers for such films exist. Only then many such filmmakers will get encouraged. Only then there can be any noticeable change to the quality of cinema Odisha produces.